The thought of maternity clothes made me a little nervous at the beginning of my pregnancy. I didn’t want to lose my personal style and at the same time didn’t want to invest in an entire wardrobe that I would only wear for a short period of time. I was pleasantly surprised to find that maternity denim (this brand in particular) can be super cute, well fitted, and trendy. Invest. This is something that is so worth the investment. When I was ready to transition into maternity jeans, I tried a belly band first, and the constant adjusting was uncomfortable. You need to feel comfortable, and that can easily be achieved, while looking put together, also. I invested in a dark wash, a medium wash, a distressed light wash and distressed black denim. 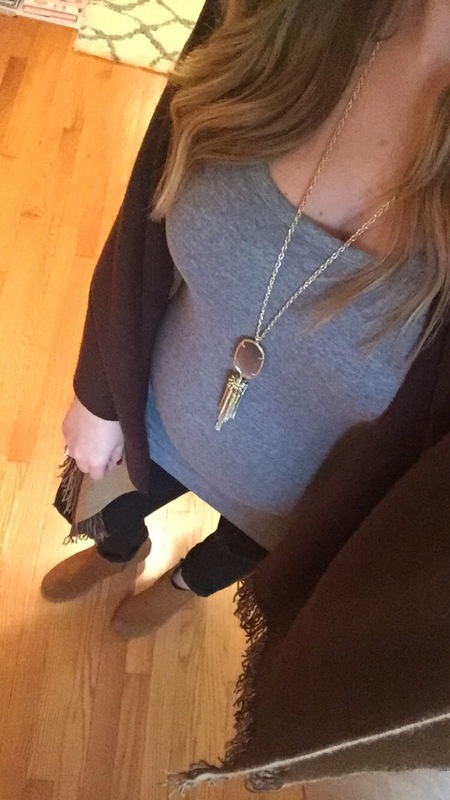 Maternity leggings are great for oversized sweaters and tunics. Maternity tops are another story. I am not a fan of the cliche maternity top. The button down front and tie around your bump is not my style. I quickly found a way around that, without having to invest in an entire maternity wardrobe. Basics like cotton maternity tanks and tees are the ultimate staple. I invested in all neutral colors (blacks, whites, greys, navy) and purchased two of each color. These basics make is so easy to pair my normal non-maternity clothing into my everyday looks. 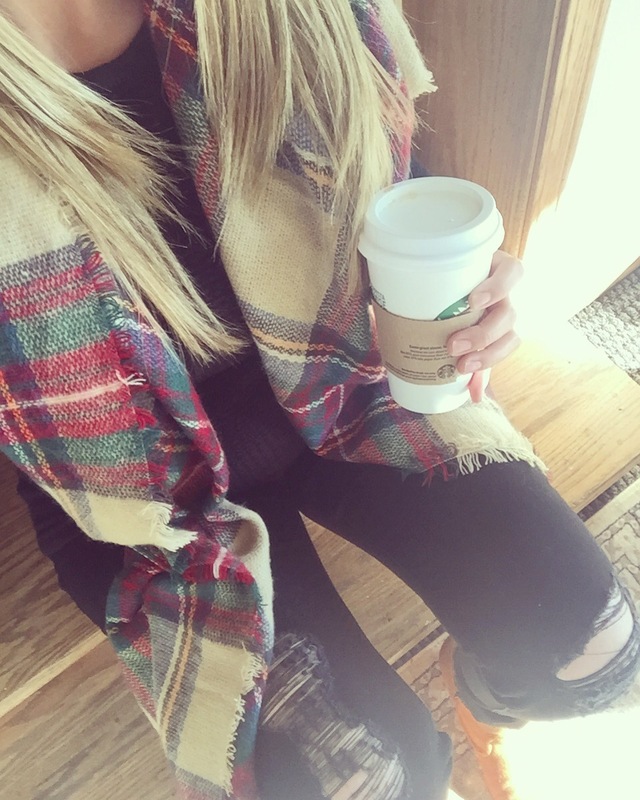 I can slip on a fitted plaid button down with a maternity tank and add a scarf and ankle boots to complete the look. 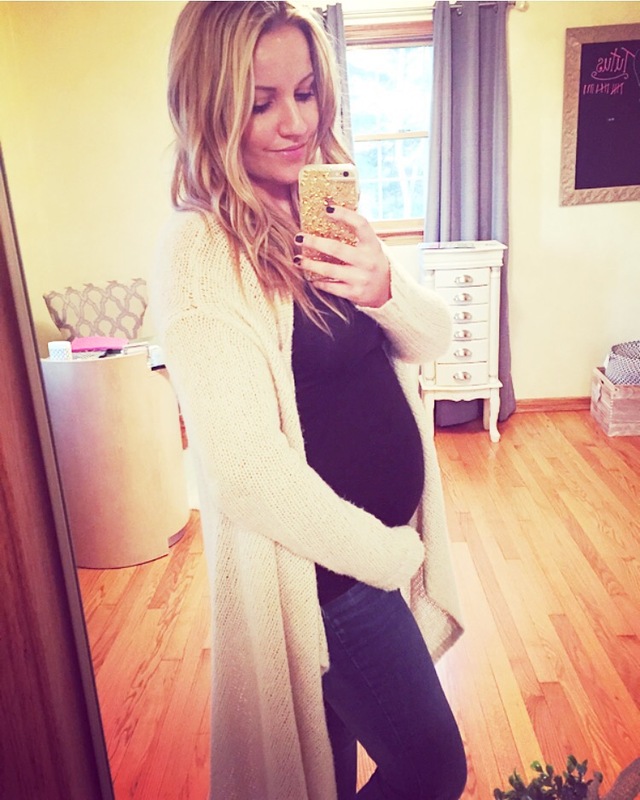 All of my cozy long knit cardigans fit my growing bump with a maternity tee underneath. A statement necklace and over the knee boot can dress it up. Ponchos are the ultimate must have, no matter what stage of my pregnancy they are the perfect throw on item to feel cozy and look chic. Jackets are another great way to extend your wardrobe. From leather to denim and utility jackets in between, they can be paired with a maternity tank, tee or are great over a fitted cotton maternity dress with ankle boots. 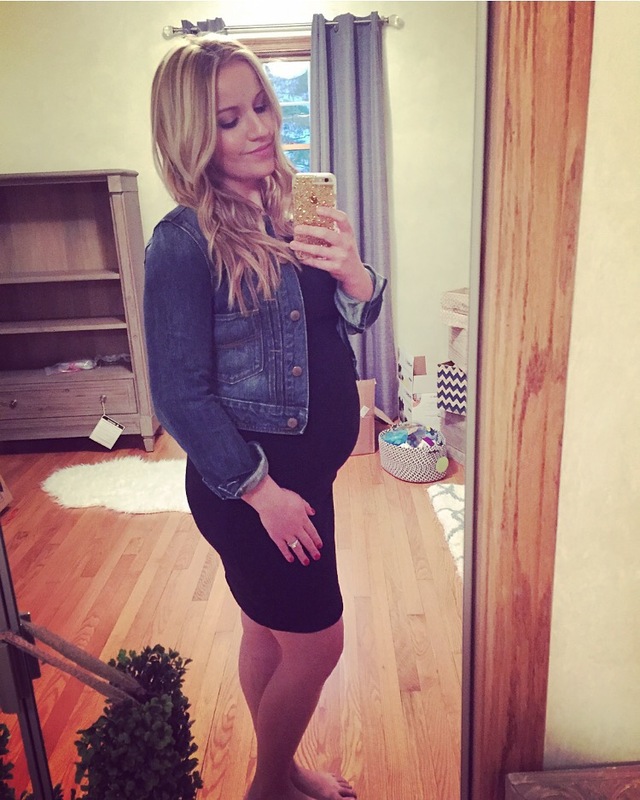 Pairing maternity basics with non-maternity clothing you already have in your closet, let’s you stay true to your personal style, and feel most comfortable in the style your own style, while your body is constantly changing. I did come across a few really cute maternity tops with a great fit and modern spin. I also purchased a few non-maternity items, a couple of sweaters, blouses and a winter coat, and just sized up one from my pre-pregnancy size.